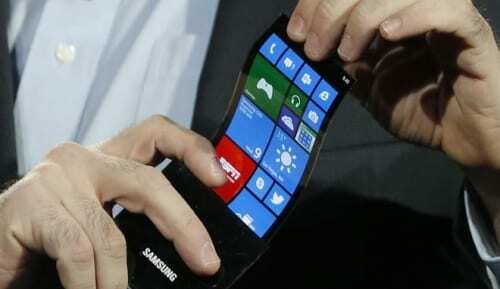 While gradually discovers that many companies (including Apple) start working on devices with flexible displays, Corning (the creator of Gorilla Glass) believes there are at least three years until they start to see this kind of gadgets the market. Since its introduction, the Gorilla Glass has presented a very clear evolution year after year. It has managed to increase its strength and maintaining the same thickness as demonstrated at CES 2013 Gorilla Glass 3 promises to be present in many products from leading brands. However, in the field of a curved glass still remains to be done before mass production can lead to this type of material. As soon screen devices easier to fabricate curve could be later this year but for more complex concepts, the wait will be about three years already mentioned. Incidentally, President of Corning declined to comment if the rumors about a possible partnership with Apple and smart watch (iWatch) of which both are talking in recent weeks. Do not forget that Apple is one of the main customers of this company so it would not be surprising to expand their ties by incorporating Gorilla Glass 3 and curved glass next to apple products. Article Corning says the flexible display devices soon arrive at least three years has been originally published in News iPhone .